"James Paul Wesley was born in 1921 in St. Louis. He obtained his BA from the U. of Minnesota in 1943 and his MA and PhD from U. California Los Angeles in 1951. He is the father of eight children. In addition to being an established theoretical and mathematical physicist, he is an internationally recognized artist for his oils. His experience includes a postdoctorate at Scripps Inst. Oceanography, a professorship at the U. Idaho, a research position with Newmont Exploration Ltd., a Fellowship at the Ctr. Adv. Study in Behavioral Sciences, research positions at Denver Research Inst., Melpar, and Roland F. Beers. Like many physicists with a conscience, Wesley's agitation for peace without nuclear war resulted in the loss of employment and other harrassment. He was a professor at the U. Missouri, Rolla for 10 years. A sabbatical year was spent with I. Prigogine in Brussels In addition to a US patent, Wesley has over 90 publications to his credit and is the author of" eight books. - From Causal Quantum Theory (1983). Residing in Germany during his retirement years, Paul Wesley's pioneering work in dissident physics in the 1980s and 1990s anticipated much of what has and what is certain yet to transpire in the 21st century. Along with ground-breaking colleagues like Stefan Marinov, Franco Selleri, and Umberto Bartocci, Wesley organized and motivated the early dissident community in Europe, editting several conference proceedings in addition to writing seven self-published books of his own. In 1991, he coauthored with David L. Bergman the paper that first proposed a toroidal ring model for the electron. 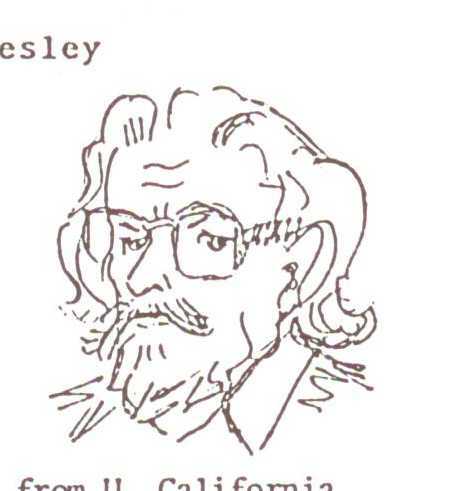 With a publication total in excess of 100, Wesley was mentioned several years in Who's Who in the World and in Who's Who in Physics. Paul Wesley married Gabriele Wesley-Modest in Berlin, and lived with her and three children Carl-Eric, Julia, and Benjamin in Berlin, Lenzkirch, and Blumberg. 1962-1963: Denver Research Institute effort on writing the book ecophysics ?the application of physics to ecology? 1963-1974: University of Missouri-Rolla, Professor. The university provided a research grant for the summer 1967. 1965-1966: NASA provided a year's grant to estimate the likelihood of life existing in the solar system.